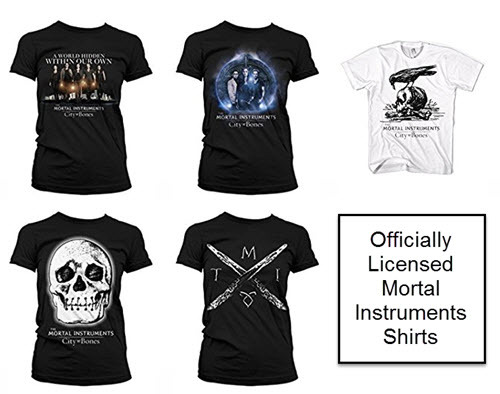 We don’t tend to see a lot of Shadowhunter merchandise that is officially licensed, but you can get a few different shirts on Amazon right now. They range in price from $7-20 depending on which you choose and the size. Visit Amazon to see all of them. If you are looking for other products, check out our Shadowhunter Merchandise page for everything from jewelry to shirts to mugs.